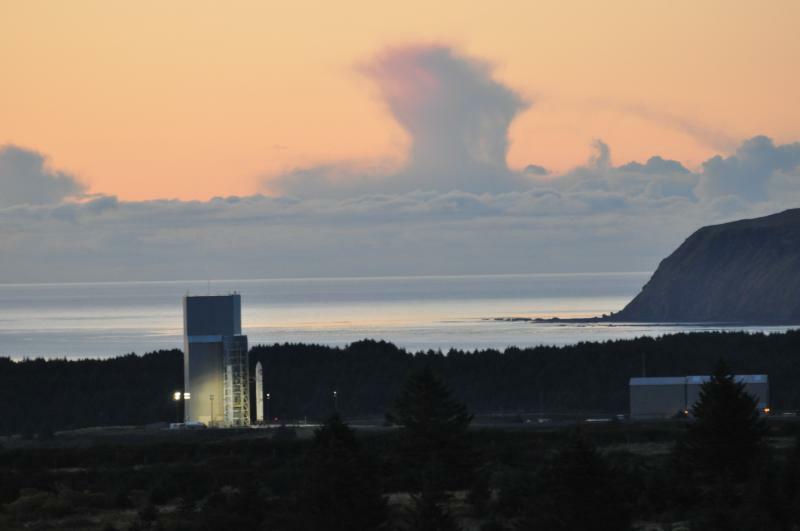 A report from the Pentagon says a Chinese spy ship sailed near the Aleutian Islands last July “likely to monitor” a missile test underway at the Kodiak spaceport. That’s according to a story Monday in the Kodiak Daily Mirror newspaper. The U.S. military conducted two tests of its Terminal High Altitude Area Defense system at the Pacific Spaceport Complex in July 2017, according to the story. It was unclear which of the two tests was likely monitored by the Chinese according to the report, titled “Military and Security Developments Involving the People’s Republic of China,” released publicly on August 21. The THAAD missile defense system, manufactured by American company Lockheed Martin is a missile interceptor designed to destroy ballistic missiles in their late stage or “terminal” flight phase. Last summer’s test missiles intercepted dummy targets fired from military jets near Hawaii. Both tests were successful, according to the Missile Defense Agency. The report, an annual document mandated by Congress since 2010, outlines economic, strategic and military progress made by the world’s most populous country. Representatives of the Alaska Aerospace Corporation, which owns and operates the spaceport situated on Kodiak’s Narrow Cape, told the Kodiak Daily Mirror newspaper that they could not comment on the probability of Chinese spying because of confidentiality agreements with the U.S. military. Daysha Eaton is a contributor with the Alaska Public Radio Network. Daysha Eaton holds a B.A. from Evergreen State College, and a M.A. from the University of Southern California. Daysha got her start in radio at Seattle public radio stations, KPLU and KUOW. Before coming to KBBI, she was the News Director at KYUK in Bethel. She has also worked as the Southcentral Reporter for KSKA in Anchorage. Daysha's work has appeared on NPR's "Morning Edition" and "All Things Considered", PRI's "The World" and "National Native News". She's happy to take assignments, and to get news tips, which are best sent via email. Daysha became a journalist because she believes in the power of storytelling. Stories connect us and they help us make sense of our world. They shed light on injustice and they comfort us in troubled times. She got into public broadcasting because it seems to fulfill the intention of the 4th Estate and to most effectively apply the freedom of the press granted to us through the Constitution. She feels that public radio has a special way of moving people emotionally through sound, taking them to remote places, introducing them to people they would not otherwise meet and compelling them to think about issues they might ordinarily overlook.